Irving, TX – Strive Medical to exhibit at the 47th WOCN Annual Conference at San Antonio, Texas. The Wound Ostomy and Continence Nurses (WOCN) Society’s exhibit program has been known as the only face-to-face networking opportunity to reach nurses who deal with the tri-specialty of wound, ostomy and continence. Nurses from across the nation attending the conference will have the opportunity to experience the latest products, techniques, applications, treatments and services in the industry. "I feel like this is a huge accomplishment for Strive. We have come such a long way in the past 3 years. I'm excited we are able to be part of such a huge event in our industry," said Strive Medical Vice President, Jimmy Velasco. 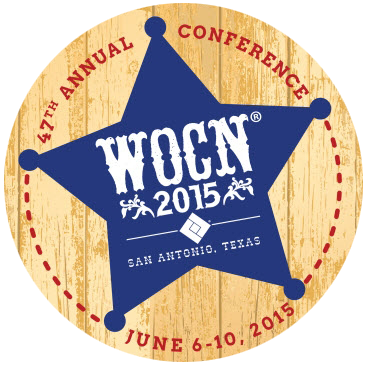 As a corporate member this will be Strive Medical first year to attend WOCN Annual Conference. The conference starts on Saturday, June 6-9, 2015. "Being that this is our first WOCN conference, I'm not sure what to expect. My hope is we are able to spread Strive reach a little farther and strengthen our networking ties," said Velasco. Create awareness of the socioeconomic and global issues influencing the patient, family and care provider(s) across the care continuum. Empower the leadership role of the WOC nurse through education, advocacy, research, marketing and legislation. Provide evidence-based knowledge of the latest techniques, application, technologies and treatments related to wound, ostomy and continence issues. Promote networking with colleagues to establish a more integrated community of health care providers caring for patients with wound, ostomy and continence conditions. For more information please contact Mariana Ayala at mayala@strivemedical.com.